To counter the lack of controllers available for the classic Vectrex Video Game console, the VecAdapt allows Sega Mega Drive / Genesis controllers to be connected to the Vectrex without modification. And to top it off, it includes functions for Auto-Fire and "Button Swap" (switch the order of the four Vectrex buttons). For use with the VecAdapt: Joystick Add-On for Atari and Commodore compatible joysticks. Available for $32.00 AUD (Australian Dollars)! Orders may by made at my new online store, OmberTech. Or, from Ebay. Orders will be posted within three Australian business days after payment. Another view of one VecAdapt. Vectrex controller plugs in on the left, the cable to the Vectrex controller port comes out on the right. The VecAdapt design is very simple to use. 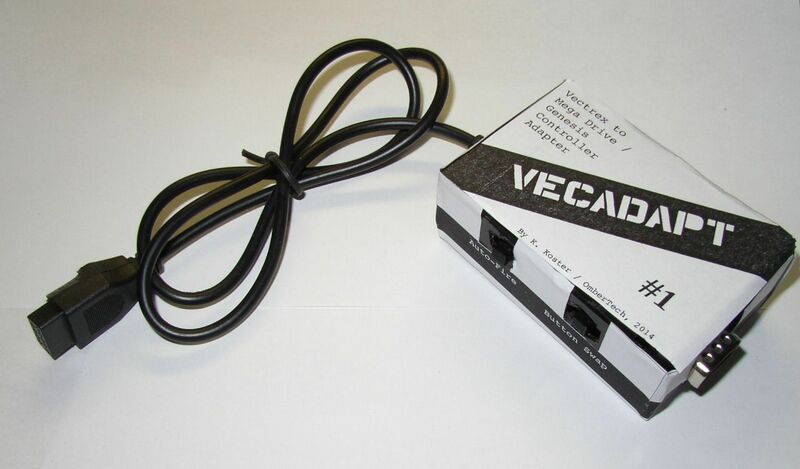 Simply plug in the Mega Drive / Genesis controller and connect the output lead to either of the controller plugs on the vectrex. The circuit is powered from the Vectrex, so there are no batteries to bother with. The Auto-Fire and "Button Swap" features can be turned on or off with switches on the top (left=on, right=off), and these features can be toggled at any time during play. 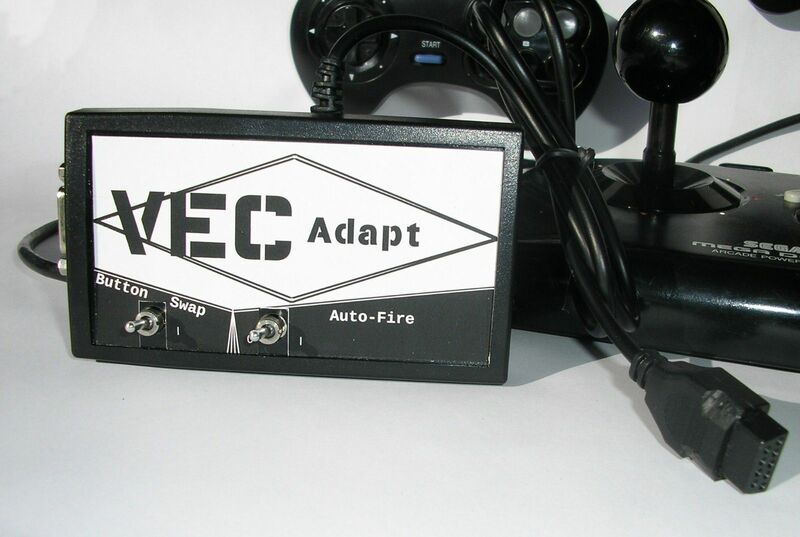 3rd Party Mega Drive / Genesis controllers are also compatible with the VecAdapt, as well as the Sega "Arcade Power Stick" controllers. However the wireless controllers have not been tested, so are not recommended for use. Mega Drive / Genesis controllers are digital, so Hyperchase, and some homebrew games that rely on the analogue joystick on the Vectrex controller, won't work properly with the VecAdapt. 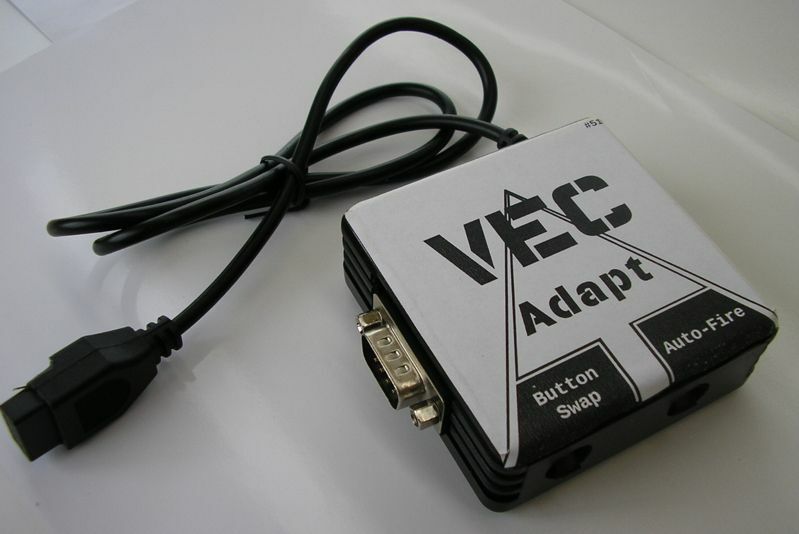 Many homebrew analogue games do offer digital modes or versions. 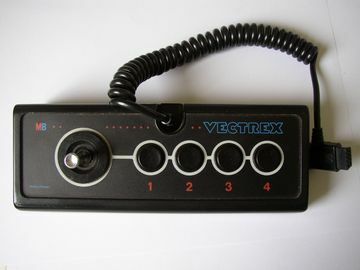 The adapter maps the Mega Drive / Genesis buttons "A", "B", "C" and "Start" to "4", "3", "2" and "1" respectively as a Vectrex controller (shown in the image below). These can be swapped with the "Button Swap" function on so that they are "1", "2", "3", "4". 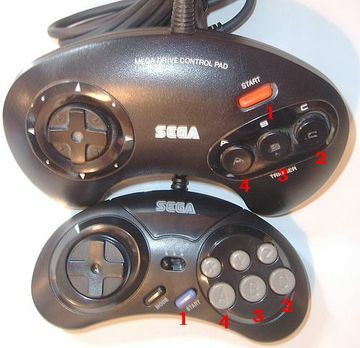 The extra row of buttons included on later versions of the Mega Drive / Genesis controller are unused. Default button assignments. The assignment counts the other way when "Button Swap" is enabled (A=1, B=2, C=3 & Start=4). Additional functions of some Mega Drive / Genesis controllers are likely to work to an extent. 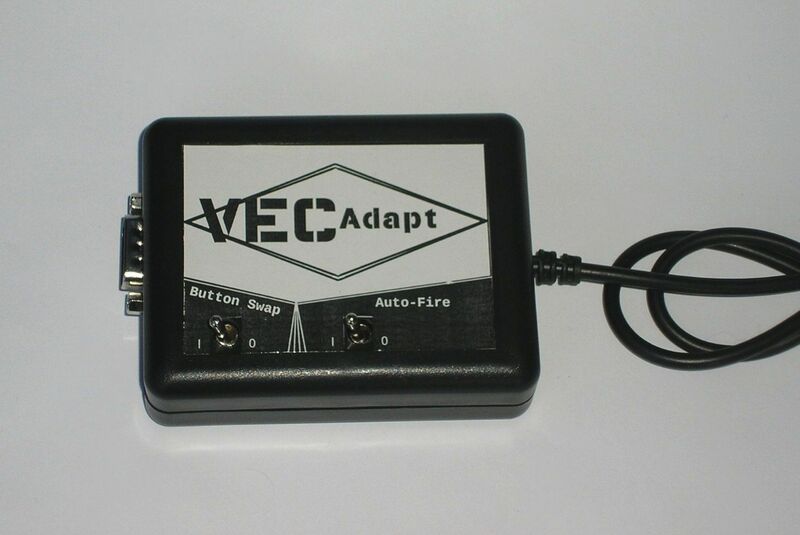 Most built-in auto-fire functions will work correctly with the VecAdapt, though "Slow Down" won't usually work because most Vectrex games don't have a pause function which would normally be triggered by the "Start" button on the Mega Drive / Genesis. One of three pre-production VecAdapts sold on Ebay before the December 5th 2014 release of the first production models. 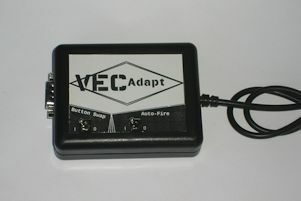 First model production VecAdapt, no longer available. 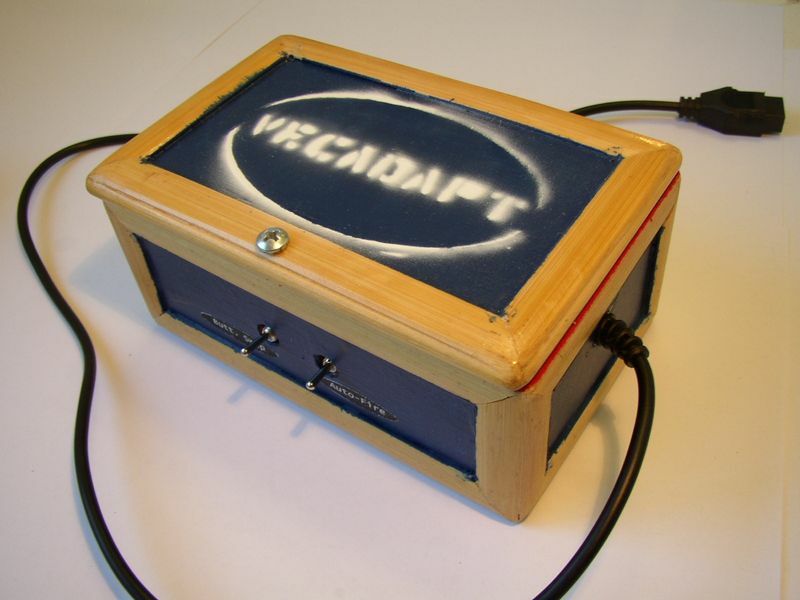 Second model production VecAdapt, no longer available. 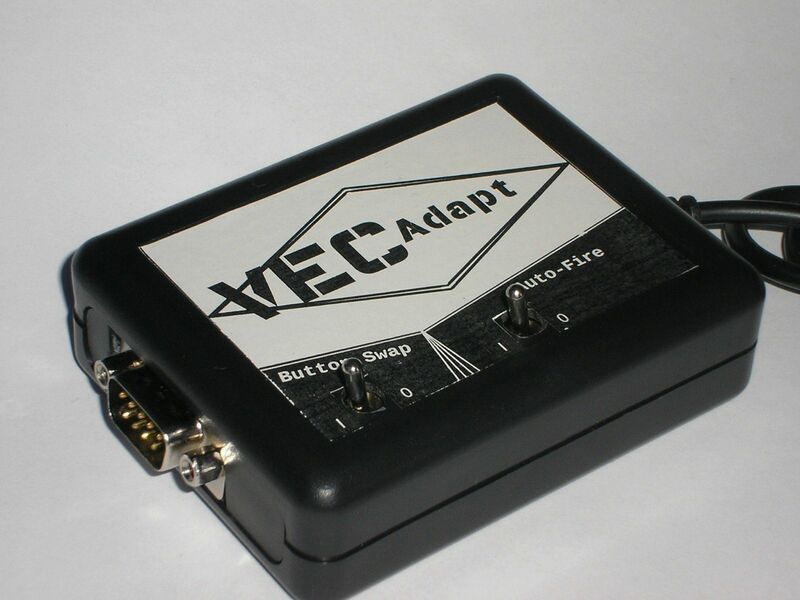 Third model production VecAdapt, no longer available.